Pause any surf video at any point and the surfer could be said to be in one of many ‘squat’ positions, squatting is a fundamental part of surfing. It is also a fundamental part of general health, especially hip/pelvic/lower back function, (use it or lose it). In this article/video series we explore the squat in-depth. 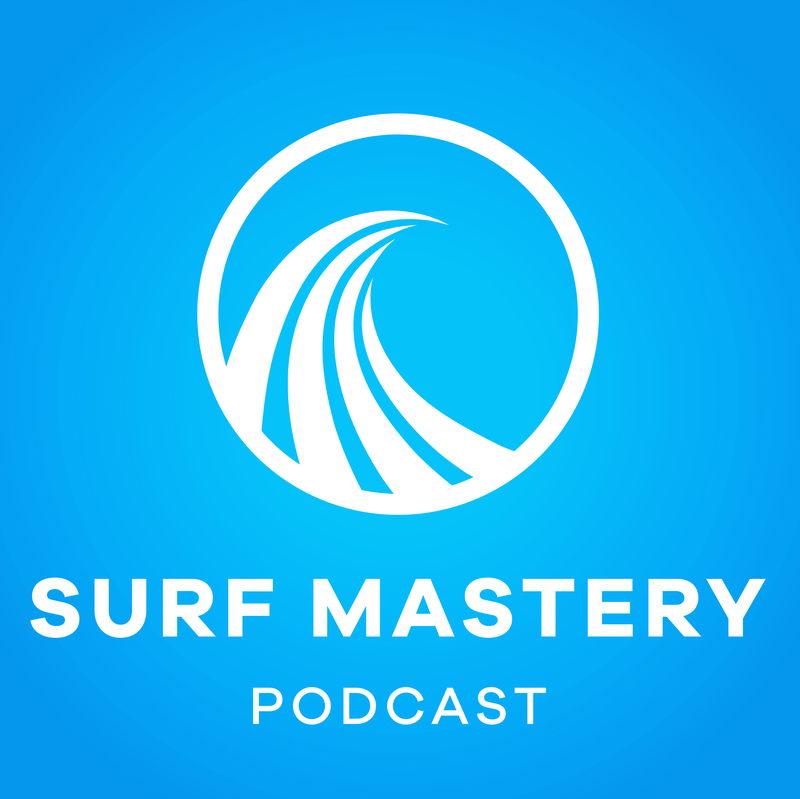 We will start with the most simple and common form of squatting, then progress all the way to ‘surf squats’ – surf squat variations and some more advanced single leg work as well. The first few articles/videos in the squat series may be too basic for you and you may be tempted to skip the first few and get into the challenging stuff, but I urge you to watch all to get a more overall understanding of the movement. We will begin with becoming aware of how you currently squat the most (sit-stand), and through self-awareness look to improve control and efficiency. We all squat many times per day, each time we sit or stand we are doing a partial squat. 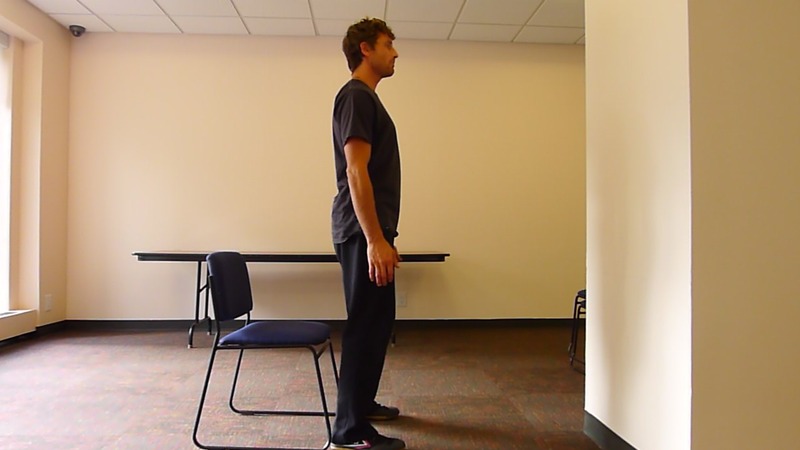 Most of us will tend to hover over a chair or couch and fall to sit, then we use momentum and our arms to stand. keep ‘awareness, posture, control and efficiency’ in mind as you practice flowing from standing to sitting, and sitting to standing. 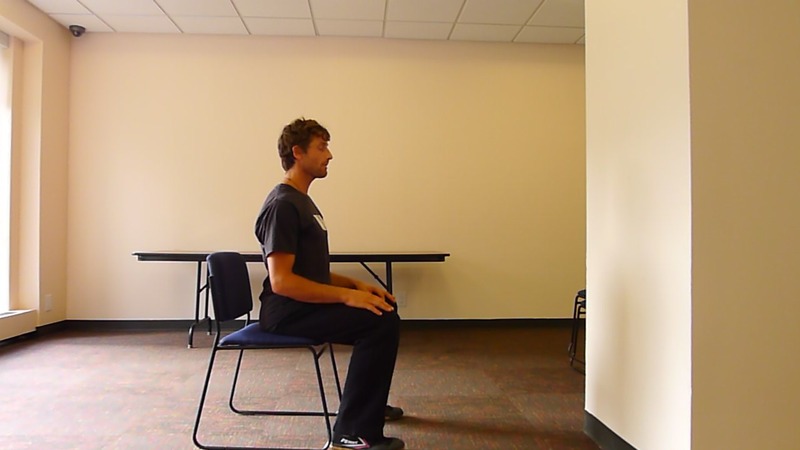 Sit upright with a tall relaxed posture, keeping an upright posture tilt forward from the hips and begin to slowly transfer the weight from your sit bones to the centre of you feet(breathing out). Maintain posture and awareness as you slowly stand with a graceful weightlessness (breathing in). If you find coordinating the breathing difficult then work on awareness and control before integrating the breathing. Awareness and integration of: Movement, Posture and Breathing is important, and will be a running theme throughout all practice. For some this will be a challenge and can be done as an exercise: Perform 10 reps taking 10 sec to do each (5 sec down 5 sec up). Others may find this very easy, if so go straight to part 2, but practice what you learnt here each time you sit.